From the beginning, Lake Harriet was on the radar of the City of Minneapolis for acquisition to develop into parkland. As soon as the Minneapolis Parks Board was created in 1883, the board increased the city limit to encompass Lake Harriet, and two months later, sought to acquire a 200 feet wide path surrounding the lake. By 1886, the parkway around the lake was complete with properties being bought, donated, or acquired through condemnation. Lake Harriet was a popular destination for boating and picnicking especially since the Minneapolis Street Railway Company extended its route to the lake. Lake Harriet was named for Harriet Lovejoy, wife of Colonel Henry Leavenworth, who founded Fort Snelling in 1819. In 1888, the first pavilion was built on the north shore, but didn’t last long. It burned down in 1891. In 1892, a new pavilion was completed by Minneapolis architect Harry Jones, but once again, the pavilion was claimed by fire in 1903. 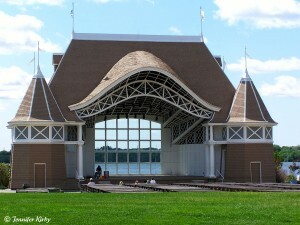 So in 1904, Mr. Jones designed the third pavilion for Lake Harriet which lasted until a tornado took it down in 1925. A year later, a temporary bandstand was built to hold concerts, and amazingly, this temporary stand stood just east of the original pavilion for the next 60 years! Finally, in 1986, the pavilion that stands today was constructed by Milo Thompson at a cost of $5.5 Million. Visitors to Lake Harriet will notice during the summer months old fashioned streetcars traveling by the lake. Saved from destruction in 1969, the Minneapolis Park Board approved the restoration of the streetcars and rails by the Minnesota Transportation Museum. 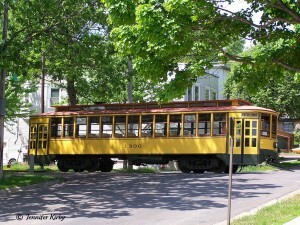 The streetcars still operate from the location of the original station and travel between Lake Harriet and Lake Calhoun. A popular lake not only for its beauty, Lake Harriet offers residents many different ways to enjoy the water. For those who like to sail, the Lake Harriet Yacht Club sponsors regattas, weekly club sailboat races, Wednesday night races, as well as seminars for sailors of all skill levels. For those who like to lay in the sun, the lake offers two beaches: Lake Harriet North Beach near the Pavilion and Lake Harriet Southeast Beach. About 3 miles of trails surround the lake and at any time of day you will find people walking, running, in-line skating, or biking around it. On the northeast shore garden lovers will find an oasis to enjoy at the Lyndale Park Gardens, which features four gardens: butterfly garden, rose garden, rock garden, and annual/perennial garden. This garden has been in existence in one form or another since 1907 when the land was donated to the city to be specifically used as a park and garden. 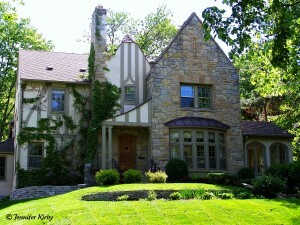 While no homes surrounding Lake Harriet have actual lakeshore footage, many homes have views of the lake and wildlife. Most of the homes facing the lake are large luxury homes, each having a historic architectural flair that makes them unique. Driving, walking, or biking around the parkway, visitors and residents will be taken in by the beauty of the area. While there are plenty of beautiful luxury homes on Lake Harriet, the neighborhood is also comprised of upper middle class homes, and many cottage sized homes that were built around 1905.